Exmouth Foundation’s Mary’s Meals Backpack appeal had a really fantastic result with more than 50 filled backpacks collected. We asked for donations of backpacks, school supplies and children’s clothes and spent a fruitful few days collecting and collating supplies to sort a variety of well-filled rucksacks for school children in Malawi. 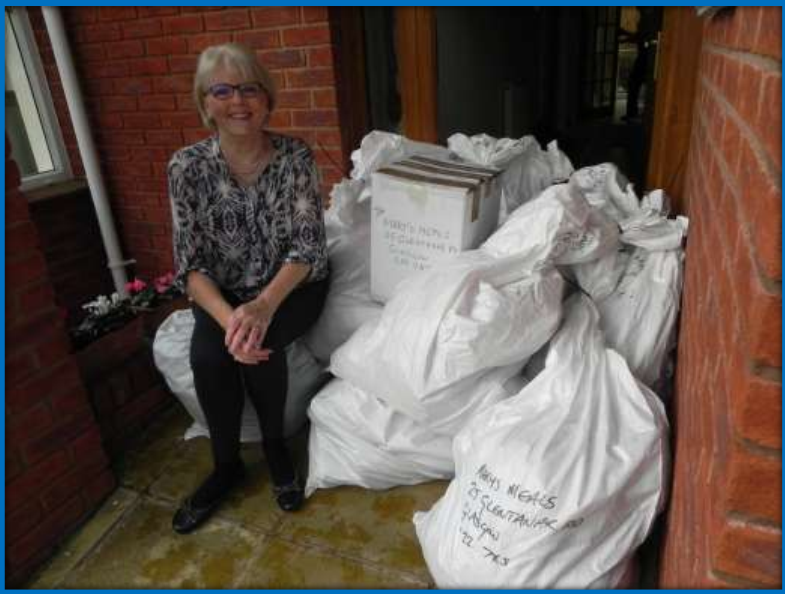 Anne McAlpine, one of our members, kindly took possession of the packaged rucksacks and waited for the courier to come and collect them on our behalf. Thank you to all the people who donated items and to all the UCM members who sorted them to ensure that all the children would receive a useful and varied selection.